Michael Kenna first travelled to Japan in the mid-80s to organize an exhibition of his work at what was then the Min Gallery in Tokyo. Over the ensuing years, he has returned to Japan numerous times, fascinated with the culture of spirituality that is based in the landscape. The New Yorker has praised his "lonely, expansive landscapes, so empty as to appear not just a world but an era apart from the country's cities...In one, the sky and the sea roil in a gray light so dreamy and diffused that it appears less a photograph and more a painting rendered in watery inks. Indeed, there are calligraphic elements in many of these photos, which seems appropriate for an artist who, rather than merely documenting a landscape, has captured the very essence of Japanese aestheticism." This is Kenna's 5th title with Nazraeli Press. 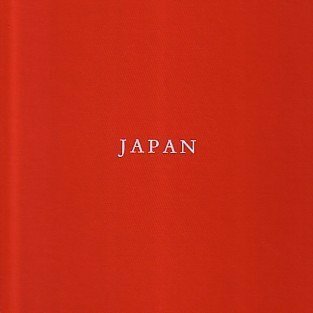 The cloth for the book is a silky red and the book comes enclosed in a black cloth portfolio.